Here’s another tip: When you write a word, expect to pick up your marker frequently. 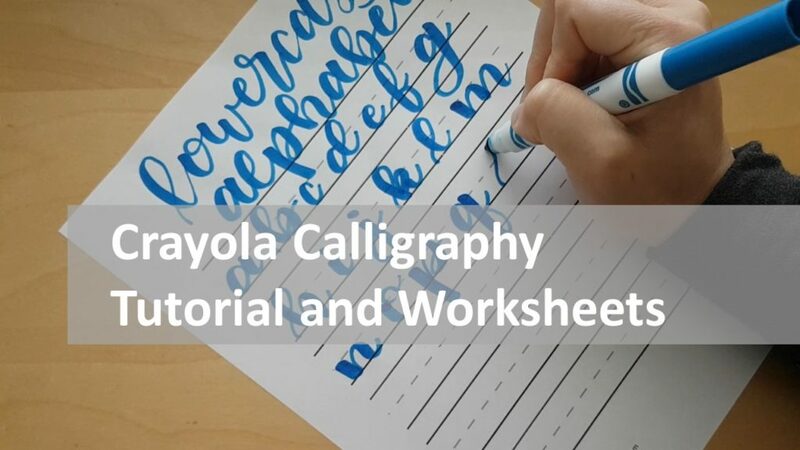 Don’t think of it as writing one word or even one letter at a time; think of it as writing one stroke at a time, as demonstrated in the “lowercase alphabet” video above. Enjoy the printouts and videos, and please share any of your progress and creations with me! Aw thanks, Nancy! How is the teaching gig going?? That looks really fun and so pretty; I’m going to give it a try! By the way, had your dad’s pan fried chicken thighs for dinner tonight…so good as always!